RIGA, January 4. /TASS/. 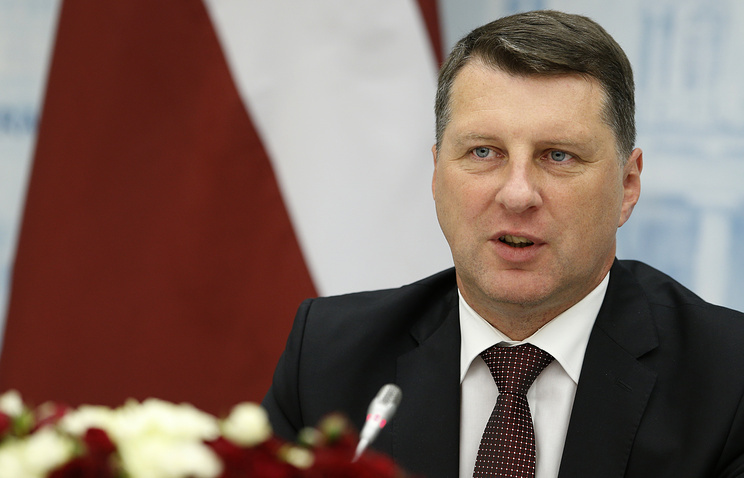 Latvian President Raimonds Vejonis has endorsed the law passed by the national parliament that grants the status of WWII ‘participant’ to all those who fought on Latvian soil during that war, both in the Soviet Army and in Nazi units, the Latvijas Vestnesis said on Thursday. The law grants the status of WWII ‘participant’ to all who fought in the republic’s territory during World War II, both in the Soviet army and for the Third Reich. Under the bill, such status can be granted only to those who were Latvian citizens as of June 17, 1940, the date considered by Riga as the beginning of the "period of occupation." It means that this status cannot be granted to Latvia’s mostly Russian-speaking non-citizens and naturalized non-citizens, i.e. those who received Latvian citizenship after passing a specialized official exam on the Latvian language and knowledge of the country’s history. The country’s biggest opposition social-democratic party Soglasiye (Concord), which represents the interests of the Russian-speaking population, and the Latvia association against Nazism earlier asked the president not to sign this law. Russian Foreign Ministry Spokeswoman Maria Zakharova expressed indignation at this law. "The Latvian authorities have made yet another step to whitewash Nazi criminals and put an equal sign between soldiers of the Latvian SS storm troopers and Red Army veterans who liberated the world from Nazism," she said.